Darkness FallsSwords ClashEvil Reigns. Eragon and his dragon, Saphira, have just saved the rebel state from destruction by the mighty forces of King Galbatroix, cruel ruler of the Empire. Now Eragon must travel to Ellesmra, land of the elves, for further training in magic and swordsmanship, the vital skills of the Dragon Rider. It is a journey of a lifetime, filled with awe-inspiring new places and people, each day a fresh adventure. But chaos and betrayal plague him at every turn, and Eragon isnt sure whom he can trust. 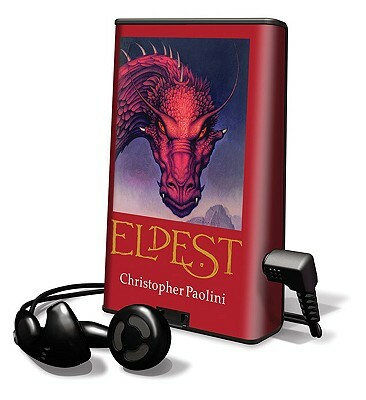 Look out, Jim Dale Gerard Doyles narration of Eragon gives the Harry Potter series a strong rival Audiofile.